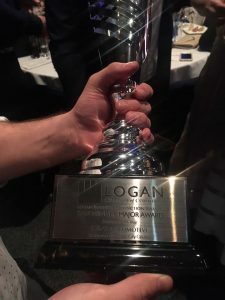 Renowned European car service specialists, K & G Automotive have taken out top honours at the 2018 Logan Business Distinction Awards, winning the acclaimed Business of the Year Award and Car Sales and Service Award. The family-run automotive business- who are celebrating 10 years in business, have been recognised as an outstanding industry leader, due to their high-level automotive craftsmanship, international automotive engineering experience, genuine customer service and renowned business culture. At the helm of this award-winning business is Shlomi Kuba and his wife Einat. 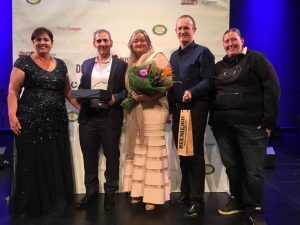 Internationally recognised and awarded, with 25 years’ automotive engineering experience, Shlomi said he was thrilled to accept the prestigious Business of the Year Award on behalf of his dedicated and passionate team of automotive experts. “We are over the moon to be recognised for our industry excellence and have continued to deliver the best experience to our loyal customers through honest craftsmanship, technical excellence and a unique commitment to genuine customer care,” he said. Unique to K & G Automotive is that the business is run by a mechanical engineer (Shlomi) which influences a higher quality automotive craftmanship. The business’s unique automotive engineering capabilities deliver high quality services and repairs, specialising in Mercedes, BMW, Audi, Volkswagen and Mini at affordable prices. Customers get to talk directly with Shlomi and his team. With more than 25-years of industry experience, Shlomi and his team, improve the reliability and performance of vehicles with excellence in automotive craftsmanship and genuine customer service and savings. Talk to Shlomi and his trustworthy team of mechanics from K&G Automotive directly at (07) 3341 2008 to book your car in for the service. Or email us here.